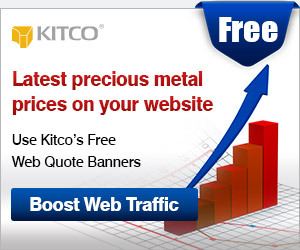 (Kitco News) - After a one-day reprieve, gold prices are on the defensive again, trading below $1,100 an ounce, and one major bank expects the weakness to continue. Wednesday morning, August Comex gold future fell more than 1%, last trading at $1,087.80 an ounce, down more than $15.70 on the day. “With the more positive outlook on the dollar, and with debasement risk starting to fade, the demand to use gold as a diversifying asset against the U.S. dollar becomes less and less important,” said Currie in his interview with Bloomberg. “There is a probability that the market trades below $1,000 this year given our broader commodity view,” he added. Currie came to the forefront in the gold in 2013 when he warned investors to sell gold. 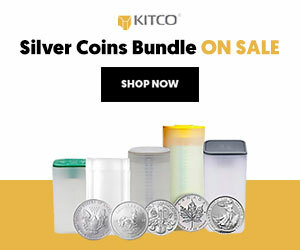 Some market analysts noted at the time that Goldman Sachs’ negative outlook on the yellow metal helped create the biggest decline in the precious metal in 30 years. Goldman Sachs isn’t the only firm that is negative on gold prices. Tuesday, ABN Ambro said in its weekly research report that it also expects gold prices to fall to $1,000 an ounce by the end of the year and $800 an ounce by 2016. One source for further selling could come from exchange-traded funds (ETFs) as long-term investors finally unload their positions in the negative price environment. According to data compiled by SPDR Gold Shares (NYSE: GLD), the world’s biggest gold-backed ETF, gold held in its reserves has seen a sharp drop, declining by 21.75 tonnes since the start of the month. In a research note published Monday, analysts at Barclays said that they will be watching $1,100 and $1,000 an ounce very closely over the coming weeks. “If prices fall below that level and breach the $1,000 support target, early money ETPs become loss-making and may begin selling, placing further downward pressure on prices,” they said.